Only a few weeks ago, the trade deadline wish list in Pittsburgh consisted almost exclusively of reinforcements for the forward unit. From a perceived need to replace the injured Pascal Dupuis to a desire to bolster depth within the bottom-six, the club's greatest needs, its biggest holes, existed up front. For some, that all changed with a shocking and sobering loss of Kris Letang coupled with the recent news that Paul Martin would miss four to six weeks with a broken hand. 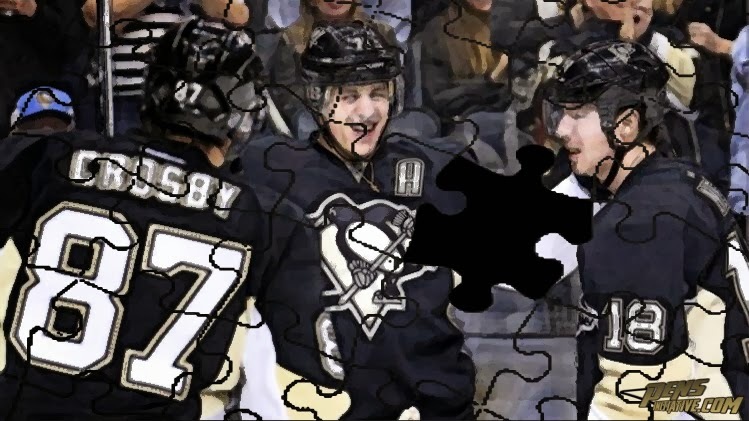 And, just like that, the Penguins' needs swelled, spilling over to include a depleted defensive corp. But can all those needs really be addressed? After all, between a tough trade market and Pittsburgh's salary cap position, Ray Shero finds himself in a tight spot if he hopes to beef up his squad for a lengthy playoff run. On Tuesday, the G.M. discussed the impending deadline, expressing both pessimism about an ability to replace Dupuis and an uphill climb faced in the search to supplement his blue line. Still, the Penguins don't find themselves completely handcuffed. Though not substantial, the club possesses some wiggle room and, given Shero's propensity for finding ways to pull the trigger on deals most never saw coming, would anyone truly be shocked to see an active Pittsburgh squad in the trade market over the coming week? So, if some flexibility exists, could the injuries along the blue line impact the club's plans as the deadline approaches? Below, we take a look at each case, providing our take on any potential implications. Make no mistake, playing without Paul Martin over the next month or so hurts. With his game finally rounding into form as the Olympics approached, Martin excelled in Sochi until that broken hand derailed his newly established momentum. Now, heading into what may prove to be the most difficult stretch of the season, the Pens will surely miss arguably their top overall defenseman. When healthy, Martin is on the ice more than any other Penguin; he plays a significant role on the penalty kill, he's a staple on the power play and he's a responsible anchor on the blue line who contributes to a smooth transition game. That won't prove easy to replace. That being said, Martin's absence won't necessarily impact the squad in terms of deadline needs. After all, as virtually everyone in the free world vehemently declares, the only season of importance in Pittsburgh is the postseason. And, even if Martin misses six weeks, he should find himself back in the lineup in time for the playoff run. What's more, barring an epic collapse, Pittsburgh's 16 point lead in the division nearly assures the club of, at worst, the Eastern Conference's second seed. Consequently, even if they struggle without Martin, the Pens early season dominance set the team up to weather the storm until he returns, to capture a division title despite the adversity. So, with Martin almost assuredly returning for what really matters, why address a temporary setback at the deadline when more significant issues truly require attention? After all, the star blue liner suffered a stroke, a condition that quickly puts things into perspective. With a child at home who needs a father, such a serious and traumatic experience turns playing a game into little more than an afterthought. Of much less significance, though, at its highest level, hockey is a business. 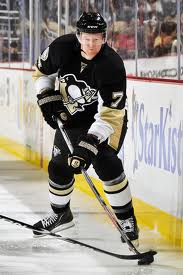 And, without the club's most dynamic defenseman, the Penguins lack the full compliment of their explosive arsenal. Though Shero is reportedly hoping Letang can/will return this season, the club must proceed knowing that may not happen. In any other year, it may behoove Shero to pursue an upgrade on the blue line, a sort of insurance policy should the team's most talented defenseman not return. But given the Pens' limited cap space, the potential lack of sellers and the steep price forecast for potential acquisitions, bringing in a rearguard might prove too rich for Pittsburgh's blood. Further complicating things for Shero, Letang's absence takes away potential bargaining chips. That's not to say that the Pens would have shopped the would-be coveted blue liner but, given Tanger's absence, someone must fill the void of a minute-eating workhorse. And, as a result, Shero may possess less assets to dangle as bait. Sure, he has access to a stable of defensive prospects waiting in the AHL, anxiously awaiting opportunities to make their mark in the NHL. But, with Brooks Orpik, Matt Niskanen and Deryk Engelland all approaching free agency, Shero must keep one eye on the future, balancing today's deadline deals with tomorrow's realities. Sure, it's easy to envision the Penguins upgrading in certain areas at the deadline. But, given the cap, the market and a limited amount of chips on the table, it's hard to imagine Shero addressing all of the squad's perceived needs. So what becomes the priority? A defensive unit with a propensity for overcoming injuries and adversity? Or a forward group that struggles to produce offense when its star players fall short? Yes, in a perfect world, it would be nice to address the recent injuries on the blue line but, in a year in which Shero has his work cut out for him at the deadline, those needs pale in comparison to forward depth deficiencies. In the end, time will tell how Shero and the Penguins handle it.